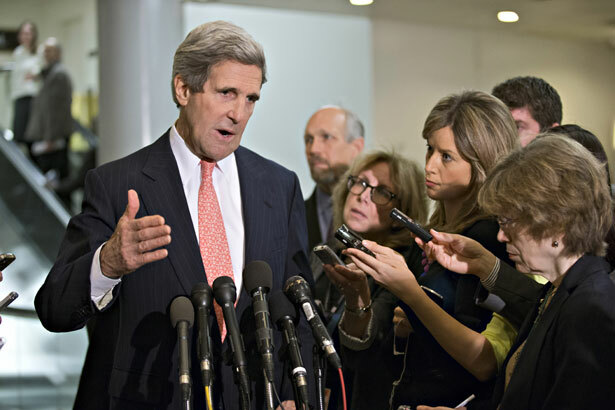 In Washington, the drumbeat is intensifying for yet another Middle East civil war. Traveling in Europe on his first trip as secretary of state, John Kerry has had his first close encounter with the Syrian opposition. It doesn’t bode well. Last year, we know now, President Obama rejected near-unanimous advice from the Pentagon, the CIA and the State Department—including from Hillary Clinton, Leon Panetta and the chairman of the Joint Chiefs of Staff—to begin arming Syria’s rebels. In so doing, Obama stood firm against another potentially disastrous American adventure abroad. Still, it now appears that the United States is edging closer to the precipice again. If the Obama administration is to lead on Syria, it must commit itself to steps that can bring about the early collapse of the regime and its replacement by a representative and responsible alternative. Only direct political and military intervention on the side of the opposition can make that happen. Senator Robert Casey, a Democrat from Pennsylvania, is also a member of the arm-the-rebels caucus, and he’s called for the United States to move anti-missile defense units from Turkey to positions inside Syrian territory. And last December, speaking to a neoconservative think tank, Casey unloaded with both barrels, putting out a laundry list of warlike actions that the United States should undertake, according to him. Interestingly, in that talk Casey declared that a major motivation for US arms to the rebels was to undermine Iran and Hezbollah, in so doing giving away the game. The anti-Assad forces in Washington are really anti-Iran forces and, frustrated by their inability to promote an attack on Iran, they’ve chosen to go after Iran’s chief regional ally, Syria. Fact is, nearly two years into the growing civil war in Syria, the government of President Assad isn’t going away. Meanwhile, the rebels are increasingly dominated by radical, Al Qaeda–style fighters and allied Islamists. Something like a million Syrians have been forced into refugee status by a war that started in earnest when a too-eager President Obama proclaimed, early in 2011, that Assad should step down. Maybe he will, eventually, and maybe he won’t. But the United States should remain in the camp of those who, like Russia and the UN’s Lakhdar Brahimi, believe in a negotiated solution, not a military one. In better news from the Middle East, negotiations over Iran’s nuclear program are showing promise, Robert Dreyfuss writes.